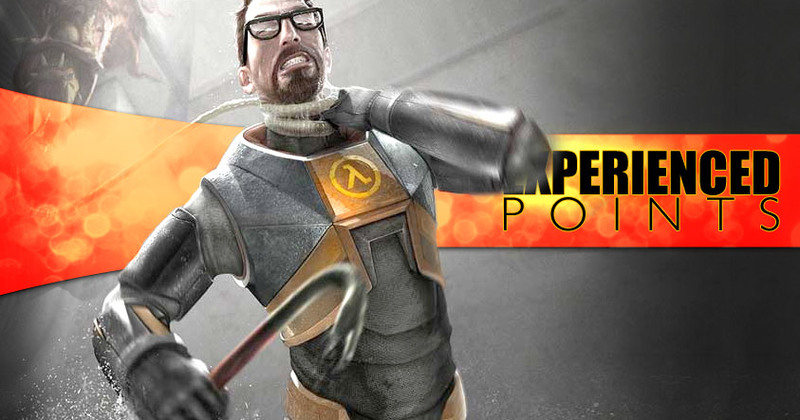 Let's talk about the Half-Life 3 rumor machine and why it exists. The game has a loyal fanbase, and the series has earned high critical acclaim. The most recent installment ended on a gut-punch cliffhanger that left fans wanting to know what happened next, and it's been almost eight years of silence since then. In a world where everyone seems hellbent on running sequels into the ground, the continued silence of the Half-Life franchise is increasingly strange. For comparison, the entirety of the Assassins Creed franchise - all 22 games and spinoffs - have taken place between the last entry of Half-Life and today. In light of this, the story of Half-Life has now been eclipsed by the meta story of the franchise itself. People are curious to find out what happens to Gordon, Alyx, and Crowbar, but they're even more curious about why this game continues to not come out. This curiosity feeds a never-ending machine of rumor and speculation. And as much as this process might annoy Valve (or you) it probably won't stop until the game is released or officially canceled. Sometimes we'll go for over a year without any rumors, vague unsatisfying half-denials from Valve, or maybe-true-but-later-discredited style leaks. Sometimes we'll get three in one year. And sometimes - like this last weekend - we get two in as many days. 1) Valve is making so much money running Steam that there's very little financial incentive to work on this game. 2) Valve is reluctant to work on the game because of the Mass Effect 3 controversy. They're afraid of messing up and finding themselves in the same wave of anger, controversy, and backlash. If this is a hoax, it's a well designed one. Point #2 sounds little questionable, and if it was presented by itself it would sound unlikely. But point #1 is something everyone already believes, and so by packaging the two ideas together the less plausible one is given a certain credibility boost. On one hand, the idea that the public would revolt if Half-Life 3 ended badly sounds silly. Mass Effect was a series that banked heavily on it's story and characters, while Half-Life has a very "mechanics-first" approach to game design. If the third game revealed that the entire series was a daydream of a bored Gordon Freeman sitting in his cubicle at Black Mesa, I'm sure the uproar would be less intense than (say) the controversy surrounding the crappy PC port of Arkham Knight. People would complain, but as long as the mechanics were sound the game would do just fine. That's just the first rumor. The second rumor comes from this Reddit thread, which features an email purportedly from Valve's Marc Laidlaw commenting on the first rumor. I don't read Reddit often enough to know which parts are trustworthy (in some places identities are confirmed by Reddit staff members) and which parts are full of trolls, so I can't speak to the veracity of the email from Laidlaw. But the email basically says that while they won't comment on the status of Half-Life (or any other project) the company wouldn't let fear drive its design decisions.